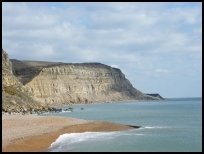 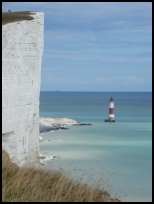 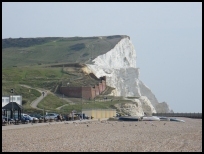 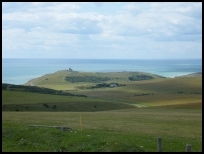 The Sussex cliffs include the sandstone outcrops near to Hastings and the Chalk Cliffs that go from Eastbourne past Brighton, including Beachy Head and the Seven Sisters . 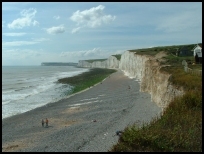 It is believed that the cliffs along this stretch of coastline have been eroding fairly constantly over time, with the following observations made for the different areas based on the differences between the Ordnance Survey maps from 1873 to the present day. 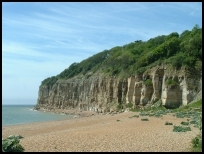 Extrapolating the above would mean that the cliffs at Fairlight could have been a further 550 metres out in 1066 and in Saxon times about 800 metres towards France. 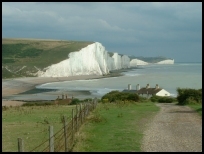 The Chalk Cliffs at the Seven Sisters would have been the same at 550 metres further in 1066 and 800 metres in Saxon times.